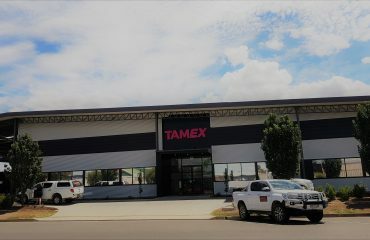 This project had to be completed over 2 weekends to avoid any disruptions to the daily routine of this facility. Our team started onsite at 3am both weekends to ensure the project was done & dusted by the end of the weekend. 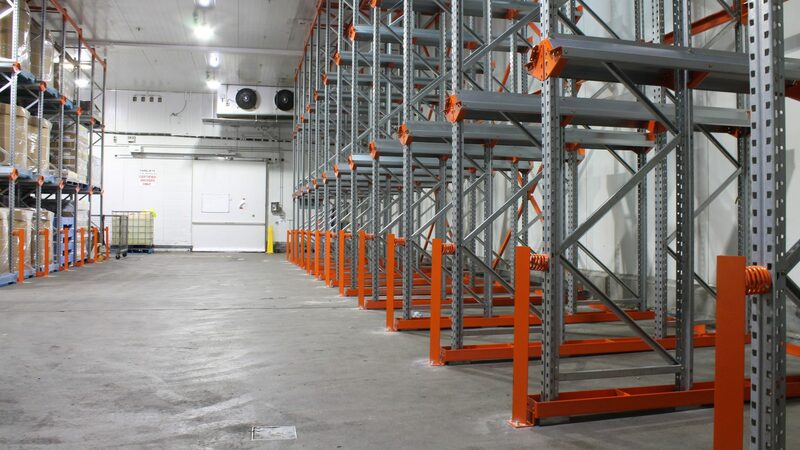 1 x Drive-In Pallet Racking System 5250H x 13 pallets wide x 2 pallets deep x 3 pallets high. One lane in this system will be 2 pallets high to allow for the refrigerator unit. 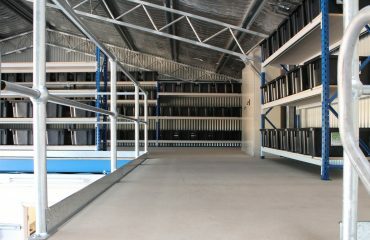 1 x Drive-In Pallet Racking System 5250H x 13 pallets wide x 2 pallets deep x 3 pallets high. 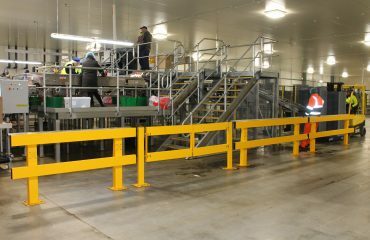 One lane in this system will be 2 pallets high to allow for the refrigerator unit and another of the lanes will most likely be kept totally clear (ie no pallets to be stored in it) to allow access to a PA door.